Lovely screeny, Hank! And thanks. is that what that is! I was trying to figure out what windowblind! Show off, Tinypic still doesn't work for me. Let me ask are signed in on Tinypic ? Let me ask are signed in on Tinypic ? The image in my post is from TinyPic. 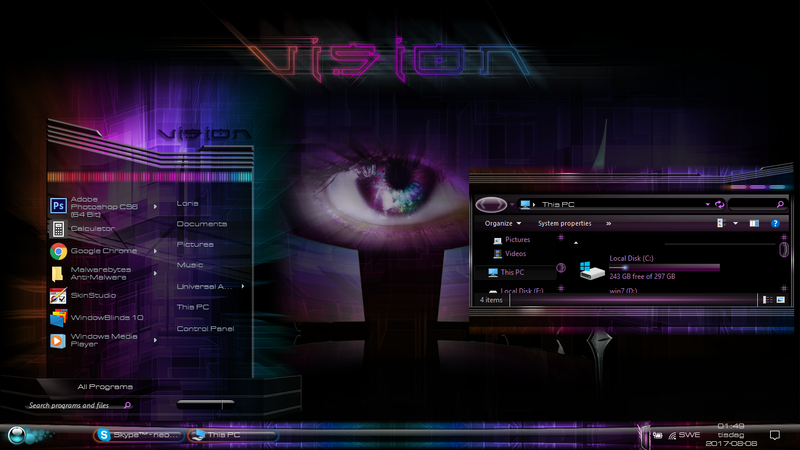 Not logged in and using the "Direct Link for Layouts"
Working on a new design here called Telas.. hope you like. lol! no I have never *joined*.... and like Hank...use the *directt link for layouts*! Thank you and Hank. I'll have to do some experimenting. AWESOME Dali-esque thing goin on there Barb ! At Tinypic if I don't sign in the upload fails. If I do I get moved or deleted. ..did you save the password? .... maybe clearing cache, deleting your saved password... using another browser.... has to be some way to use it anonomously, or I wouldn't be using it. Just thoughts. ... just put it all together, is all! I was inspired by Hankers to take this screenshot which I call "Fail Creators Update". Linux will also get more locked down (especially with the new display protocol "Wayland"). So I don't know if creation/customization has a great future on any platform. Everything becomes more "security"-oriented and locked down. And boring, but maybe it's just me. Normally I don't like dark themes, but today is a good day for that. One of her best Sydney, she will be missed. Chasbo what is the name of the wallpaper you used for the screenshot? Beautiful tribute to a beautiful artist sydneysiders.